Astronomers finally figured out where the methane on Mars is coming from. 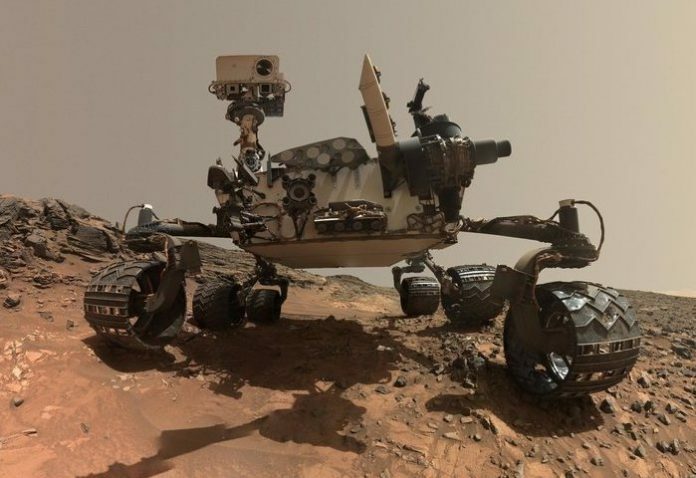 The finding resolves a mystery that’s been ongoing since the organic gas was first detected on Mars in 2003 — but which subsequently eluded scientists trying to measure and trace it. It turns out that an ice sheet on Mars’ surface near Gale Crater, which may have once have been a lake, is likely giving off the planet’s methane, according to research published Monday in the journal Nature Geoscience — and which could represent yet another puzzle piece in the mystery of whether the Red Planet ever harbored life. The research describes two studies that both isolated the same ice sheet as the source of atmospheric methane, using data from two spacecraft and simulations of the Martian atmosphere. It’s worth noting that the data for these studies was collected in 2013, while the surveys that failed to detect any methane were conducted in 2018. However, the more recent study focused on the upper atmosphere — the scientists behind it conceded that there may be ground-based sources of methane that they simply missed. And since one of the new studies used data from the Curiosity rover’s trek across the Martian landscape, it’s likely that the methane was simply too sparse to measure from an orbital instrument. The presence of methane is often touted as a sign of life, but confirming that Mars has methane isn’t quite the same as confirming that life exists there.